Several days ago Ukraine Today reported the death of a former politician in the Yanukovych government which was overthrown in a coup last year. He was Oleksandr Peklushenko, the ex-head of a regional council in central Ukraine. Authorities are claiming he committed suicide – but he appears to be the 7th, 8th or 9th such Ukrainian opposition politician to “commit suicide” in the past month or so. 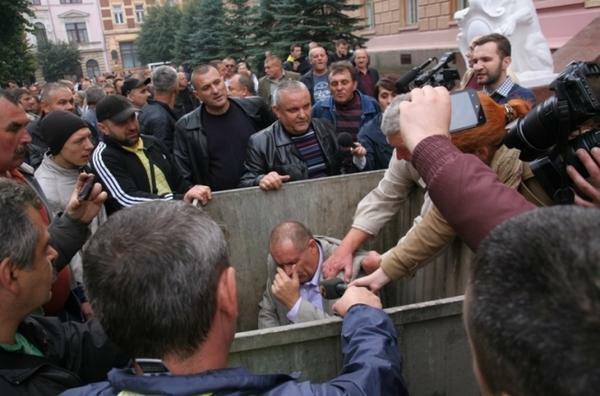 I can’t help wondering if the methods used to purge opposition figures in Ukraine have moved well beyond the well-reported process of throwing them into dumpsters. The head of the Chernovtsy municipal hospital for war veterans was “lustrated” in October. Dr. Manolya Migaychuk was accused of not fulfilling his responsibilities and was forced to resign, according to local media. Radio Free Europe/Radio Liberty reported 5 officials died in a suspicious way in a single 34-day period between January 28 and February 28 (see Suicide Or Homicide? In Ukraine, Old-Guard Officials Dying Mysteriously). January 26 — Mykola Serhiyenko, the former first deputy chief of the state-run Ukrainian Railways, died in his Kyiv home after apparently shooting himself with a registered hunting rifle. January 29 — Oleksiy Kolesnyk, the former head of the Kharkiv regional government, died after apparently hanging himself. February 25 — The former mayor of the southeastern city of Melitopol, 57-year-old Serhiy Walter, reportedly hanged himself. . . Walter had been dismissed from his post in 2013 and put on trial for abuse of power and ties to organized crime. In recent months, a number of other former and current officials were reported as having “committed suicide” in Ukraine – the former deputy head of “Ukrzaliznytsia”, Nicholai Sergienko, former head of Kharkov regional council, Nikolai Kolesnik, ex-mayor of Melitopol and former MP, Stanislav Melnik. 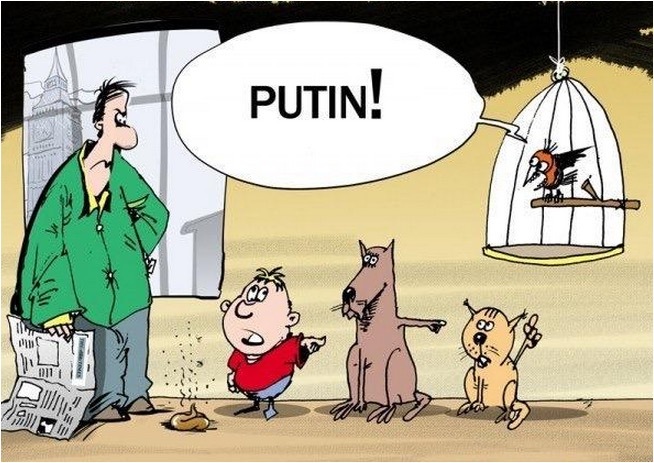 An epidemic of suicides by opposition politicians is of course possible – after all the regime in Kiev is hounding and jailing their old opponents and that must be stressful for the victims. But it is hardly credible. Perhaps we could just blindly line up with the current political “wisdom” and blame Vladimir Putin, Russia’s president. After all, our news media seems to think “Putin did it!” is a sufficiently sophisticated explanation for all things ranging from the shooting down of commercial airliners to the recent Moscow assassination of Boris Nemtsov (a deputy prime minister in a previous government under Boris Yeltsin). Or are our media at least intelligent enough to realise that would be asking too much of its readers? It seems that our news media has instead decided just to keep quiet about this rash of “assassination/suicides” in Ukraine. Maybe they cannot see any political advantage in reporting them – unlike the Nemtsov assassination.